Known adulterer and noted documentarian Dinesh D'Souza has been charged with campaign finance fraud. 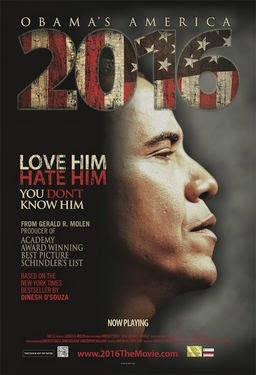 If his name sounds familiar, it is probably from his immensely popular documentary 2016: Obama's America, which grossed over 33 million dollars in its box office run. Conservatives and Tea Partiers alike have been crying foul at this indictment. They continue to criticize the IRS and are accusing the FBI of this being another political targeting scheme from the Obama administration. Considering the fact that a major Tea Party principle is either lowering or eliminating taxes, investigating these groups further to make sure they are not already following anti-tax policies before they are even legal sort of makes sense. Nevertheless, Obama's opponents are still quite disgruntled. The new wave of alarmist calls citing totalitarian tactics on behalf of the Obama administration are misplaced. What Dinesh is accused of is quite plainly a crime - and enough evidence was gathered to proceed with the prosecution. In this case, the U.S. Attorney for Manhattan, Preet Bharara, was appointed by Obama. However, accusing the Obama administration of breaking rules in the name of cronyism, whilst absolving Dinesh by ignoring his connection to the former senatorial candidate, is a blatantly hypocritical double standard. In the (so far alleged) case of Mr. D'Souza, the investigation has a considerably more significant levels of justification. Here are the facts concerning the case and character of Dinesh D'Souza. He has been a staunch conservative, both religiously and politically. 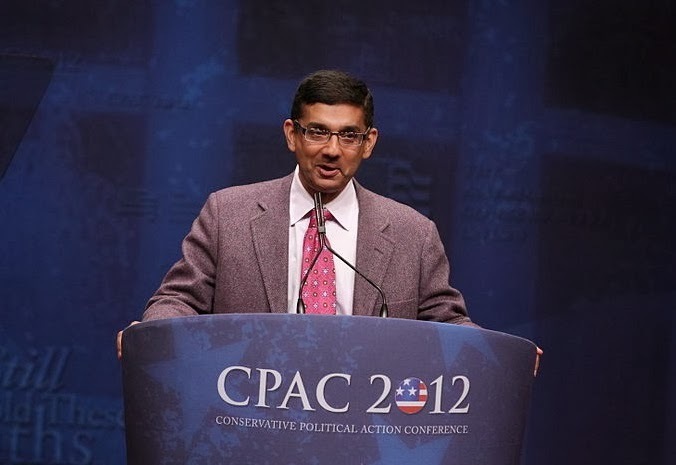 During the Reagan administration, Dinesh served as a policy advisor. An extremely vocal defender of traditional marriage, in October of 2012 he was exposed for having an extra-marital affair with a married woman. D'Souza tried to defend his actions, but regardless, they still eroded the sanctity of traditional marriage. In his defense, D'Souza did write an Op-Ed defending his actions, but ultimately the scandal cost him his job as President of The King's College in New York. D'Souza and the candidate in question, assumed to be Wendy Long, have a long history together. They both attended Dartmouth College and have been friends for a few decades now. Dinesh has been charged with (1) one count of causing false statements to be made and (1) one count of making illegal contributions in the names of others. Those charges stem from his alleged actions in Wendy Long's unsuccessful run to unseat Senator Kirsten Gillibrand. At that time, the maximum total for campaign donations, per private person, was $5,000. While actively campaigning on behalf of Wendy Long, D'Souza donated around $20,000 to the election efforts. He was able to bypass the $5,000 limitation by claiming other people were the source of the extra $15,000. If he simply was acting as an aggregator for campaign financing, there would be no issue - but that is simply not the case. What Dinesh allegedly ended up doing was reimbursing the donors with his own personal funds. He participated in fraud, essentially in the form of money laundering 101: obscuring the source of monies, especially when in circumvention of a law. Knowing that the limit was $5,000, he was able to overcome that obstacle by way of shell donors. Dinesh's lawyer released a statement claiming that there was not "any corrupt or criminal intent whatsoever ... at worst this was an act of misguided friendship by D'Souza." For a man that is so familiar with governmental policies and is often cited as a leading public intellectual, his alleged ignorance of the law has zero standing. Claiming innocence via ignorance once caught, in the case of marriage practices or campaign finance laws, illustrates a disturbing trend of willful disregard for the law. DISCLAIMER: Since this is an ongoing case, these claims and accusations are predicated on the indictment and charges currently facing Mr. Dinesh D'Souza. As with all criminal cases, the accused are innocent until proven guilty in a court of law. In the context of this article's verbiage, this contingency must be considered and incorporated in reading this article.